We are a small Cork company, part of the same group as Gilley Entertainment, who have been entertaining the people of Cork for generations. Crucially, we have been playing the part of Santa Claus or his Chief Elf for over 30 years at some very well known destinations and attractions. After many years of boys and girls coming to see Santa, we thought it would be lovely for Santa to go and visit the boys and girls in their own homes. We provide the finest personalised Santa experience that you will ever have as we bring the all singing, dancing, story telling Santa to your home. For 2016, we’re taking Santa (and his number one super special elf) on the road to see lots of people in and around Cork ahead of the big day itself. Santa will be with you and your family for half an hour of fun and festivities to truly give you the best pre-Christmas event, ever! A Santa who is professionally and theatrically trained, is fully vetted and health checked, has years of experience performing in this crucial role at major events, tourist attractions and famous shopping destinations around Ireland and beyond. You can view the locations in Cork he will visit by clicking here. Santa is a man in demand, so all visits are limited to an action packed half an hour! To allow good equal time, and to tell all the stories and sing all the songs, we do ask that groups of small ones are kept to no more than six children. We know brothers, sisters, cousins, friends and neighbours all like to be involved, but we don’t want to lessen the fun either. So please, if it will be more than six, you need to let us know so we can plan the visit properly and possibly extend the time. You can have as many grown ups in your house as you can squeeze in. It makes for a great photo to have loads and loads there if you wish. The more, the merrier Christmas memories we shall create! For photos, you know best. Have your cameras and phones ready. Take as many as you like, in as many possible ways as you wish. Just the small ones, mums and dads, grandparents, the neighbours, aunties and uncles, all combinations can be taken care of. This is your night, so take as many as you like and share, print and send out as many as you like. Of course, you can also video the visit. Santa cannot arrive by sleigh pulled by reindeer as the sleigh is in service and Rudolph and the lads are staying in the North Pole to get big and strong for their big night in Christmas Eve. Santa may arrive in a normal Cork registered car, driven by his top Elf, but they will park away from immediate view if they can. Be great if you can reserve us a spot if it gets busy where you live please. On the night of arrival, and at least half hour before Santa is due to arrive, can you please ensure any curtains / blinds / shutters are closed. This maintains the surprise of Santa walking through the door on the night (we'll explain the chimney arrival is reserved for the big day only!) and keeps nosey neighbours from peeping at your special event too! With the Elves all very busy making and wrapping the main presents, we do ask that any mini temporary presents you want Santa to give out on his visit must be pre-bought and wrapped by you with the name of the child(ren) clearly marked. Just hide them away in the front hall, and Santa's Elf will collect them from you when they arrive on the night. Santa knows a lot about children, but you know best, so this way there is no heartache and upset with silly Santa getting the wrong thing. The all important children’s info ....... When you make a booking, you are given an automated email with a hyperlink to a fun questionnaire to fill in with questions to make sure we have everything covered for the big man’s visit. The more detail, the more we can interact and wow the little ones with our knowledge. But please do keep it brief, Santa is good, but is old and can't remember everything. You can view the questionnaire here. Finally, and this one may sound silly or obvious, for the visit please do have the Christmas decorations and the tree up in all its glory. It is crucial to create the fantabulous atmosphere of the most glorious time of the year and for the photo backdrops so you can show your friends and family. Each half hour visit is just €125. Longer visits can be facilitated, and will be charged accordingly. To arrange, please e mail or phone us (+353 87 233 6972) and we will do our best for you. ​Sorry, but we really do need to stick to our times and locations. However, if you really really really need a certain time and date, please drop us an email to santa@hohoho.ie and we shall see what we can do. No promises, but we always do our best. As our Santas are the very best in the business, we are asked to attend numerous high profile events in the run up to Christmas. Be it for just a short period in attendance, or for the entire duration of your event, you can have Santa on his own or with a whole team of elves and reindeer if you wish. Let us know your outline plans and we can help create the Christmas magic for you with little fuss and lots of passion. Click here to send us a quick "call back" message. 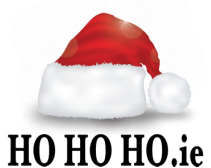 As experts in the entertainment business, and with an unrivaled passion for all things Santa & Christmas, we are the very best in providing top quality coaching and training for Santas. 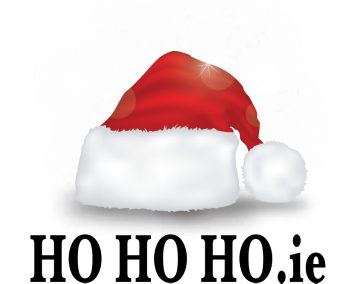 Click here for details of our Santa School. Ahead of Christmas 2017 we shall be opening our brand new Santa Shop. Offering great value items to suit all tastes, the shop will be launching very soon. Please, check back soon for details, or email us at shop@hohoho.ie and we'll put you on our mailing list! ​Call us +353 87 233 6972, email us santa@hohoho.ie, or request a call back below using the quick message form below.